At one time or another, most of us have experienced that moment of panic upon realizing that we don’t remember where our iPhone or iPad is. Thankfully, included in the bag of tricks for these technological marvels is the ability to tell you where they are. All it takes on your part is a little forethought. 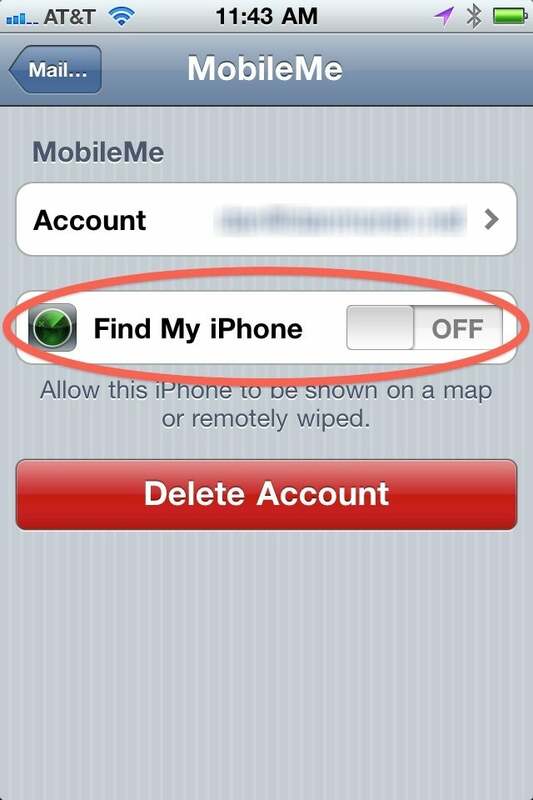 By setting up the free Find My iPhone (or iPad, or iPod touch) service, owners of iOS devices can not only locate their misplaced gadget on a map, but also remotely lock it or wipe all of the onboard data if need be. It’s one of the iOS’s most valuable features, but it’s also one that most people don’t know about until it’s too late. While this previously required a MobileMe subscription, Apple has recently opened the service up to owners of the most recent versions of the iPhone and iPod touch. So, if you’ve recently bought an iOS device or given one to a family member, it’s a good idea to set this feature up. 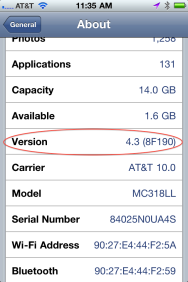 Verify your device has at least iOS 4.2 in Settings -> General -> About. The Find My iOS device service is free to all MobileMe subscribers, but if you’re not signed up for Apple’s $99 per year service, don’t give up all hope: if you have an iPhone 4, fourth-generation iPod touch, or any model of iPad then you can sign up for Find My iOS device for free. And, as long you have one of those devices in your household, you can set up free accounts for all of your other iOS devices too—as long as the devices are running iOS 4.2 or later. You can verify the software version of your iOS device by launching its Settings app and navigating to General -> About and looking for the entry next to Version. If it doesn’t say at least 4.2, you should update your device’s software by hooking it up to iTunes and clicking the Check for Update button. 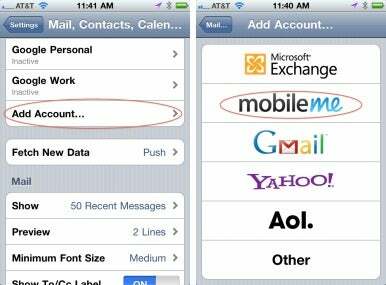 Under Settings -> Mail, Contacts, Calendars tap Add Account and then pick MobileMe. If you don’t have an Apple ID, you can tap Create Free Apple ID and follow the instructions there. In either of those cases, you may have to verify your new account; you’ll be sent an e-mail to the account you used for your Apple ID, asking you to tap a link and confirm that you are indeed the person who controls this e-mail address. 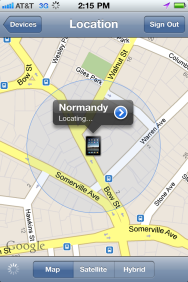 Slide the Find My iPhone (or iPod touch or iPad) slider to On to enable the service. Once your account is set up, it’s time to turn on the Find My iOS device service. If you created a new Apple ID in Step 2, then it may prompt you to activate the service immediately: you can go ahead and do that. Otherwise, navigate to Settings -> Mail, Contacts, Calendar and tap on your MobileMe account. You should be presented with a screen similar to the one shown above. Note that if you have a MobileMe account that’s syncing information with your iOS device, you may have additional On/Off sliders for services like Mail, Contacts, Calendars, and so on. The switch we’re looking for is Find My Device. (The last word will actually be the name of the relevant device—iPhone, iPod touch, or iPad.) When you flip the switch on, you’ll be notified that this feature allows your device to be located on a map; tap Allow, and then tap the Done button in the top right corner (on the iPad) or the Mail arrow in the top left (on the iPhone and iPod touch). Now that your device is set up, you can access it from any iOS device or computer. Let’s start by testing it via Apple’s Website. Launch your Web browser and visit http://www.me.com; you’ll be prompted for a user name and password, which should be the same ones you used in Step 2. If you’re using an existing MobileMe account, you’ll need to select the Find My iOS device service by clicking on the cloud icon in the top left corner of the screen and then selecting the icon that looks like a radar screen. If you’re just using a free Apple ID, you should immediately see the Find My iOS device interface as soon as you log in. In either case, you’ll then be presented with a map of the world, along with a list of your devices running down the left hand side of the page. A green dot next to a device means that it has been located; a red dot means that it can’t be found (usually because the device is powered off or in Airplane Mode). Clicking any device will show you the device’s location on a map. 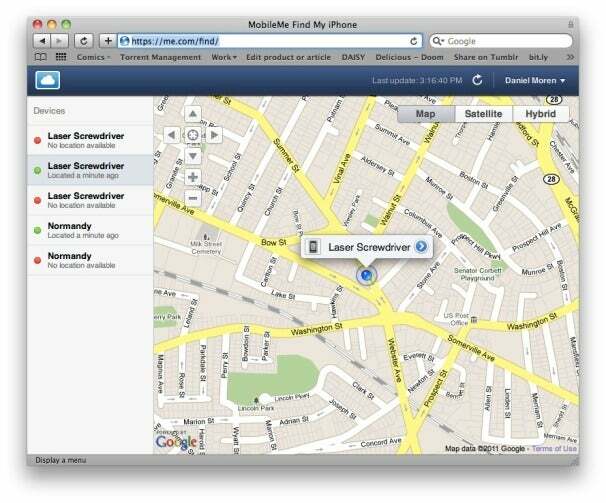 Once you've set up the service, you can locate your device on a map via MobileMe's Web interface. The precision of the location—represented on the map with a blue dot surrounded by a shaded circle—depends on what method the device uses to report where it is. The GPS chip in iPhones and 3G-enabled iPads will provide the most accurate and precise locations. Unfortunately, for devices that rely on location via Wi-Fi positioning, like an iPod touch or Wi-Fi-only iPad, they’ll need to actually be on a Wi-Fi network in order to report where they are. 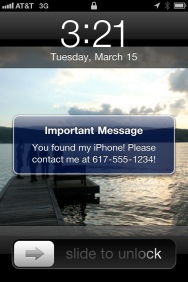 One option of Find My iPhone lets you remotely display a message on your device, such as contact info or a reward. Display a Message or Play a Sound If you’ve misplaced your iOS device, but you want to offer a reward or provide contact information, this is the option you’re looking for. You’ll be prompted to enter a short message, which will show up on the screen of your iOS device (just like a text message). You can also check a box to have the device make a sound for two minutes, even if the volume is all the way down, ideal for cases where you know your iPhone’s somewhere in the living room, but you’re just not sure where. Remote Lock: Realizing you’ve left your unprotected iPhone at a restaurant or doctor’s office can be plenty stressful, especially when you think about all the personal information we put into our phones these days: pictures, contact information, e-mails, and so on. Fortunately, you can secure your misplaced device by sending a remote lock command. Just click Lock and enter a passcode. The device will be locked, even if it’s currently in use. Any further attempt to use it will require the code be entered first. Remote Wipe: In the worst case scenario—the kind where you don’t expect to get your device back—you can make sure that nobody else has access to your data by completely erasing it. Just click Wipe and check the checkbox that confirms you know what you’re doing. It’s important to remember this decision is irreversible: once you wipe your device, not only will it be returned to factory settings, but you won’t be able to find it via the Find My iOS device service again. The good news is, if some good Samaritan does return your device, you can just plug it back into your computer to restore your data. But this should really be considered only as a last resort. In each case, you’ll get an e-mail message once the requested task has actually been completed. It may take a little while if the device is not available via the network, but the requested action should be completed once the device gets online. You can also access all of Find My iOS device's features via the Find My iPhone iOS app. Accessing this information via computer is all well and good, but what if you’re not near a computer when you discover your iOS device has taken a walkabout? Well, as long as you (or a companion) has another iOS device, you can install a handy app that will let you locate your errant device right then and there. Just grab the Find My iPhone app from the App Store. (Don’t worry, iPad and iPod touch owners: despite the name, it works with all iOS devices.) Once you’ve done so, you can enter your Apple ID and password and the app will show you a list of iOS devices associated with that account. At that point, you can use the app to do everything that you can do via the Web interface, up to and including wiping your device remotely. Of course, we fervently hope that you’ll never have to use this particular feature, but just in case you do run into the need, it’s good to know that you have a safety net. Because the only thing worse than that breathless moment of realizing you’ve misplaced your iPhone, iPod touch, or iPad is knowing that with just a little preparation you could have made it easy to resolve the situation and get your device back.